Father Ignacio Ellacura-a, SJ, president of the University of Central America, leading Latin American philosopher, and liberation theologian, was assassinated with five Jesuit companions and two women on November 16, 1989. Love That Produces Hope brings together leading authorities on key aspects of Ellacura-a's thought. The book introduces readers to the groundbreaking life and thought of Ignacio Ellacura-a. His biography and writings embody late twentieth-century transformations and tensions that reshaped the life of the Catholic church among the crucified peoples of Central America. 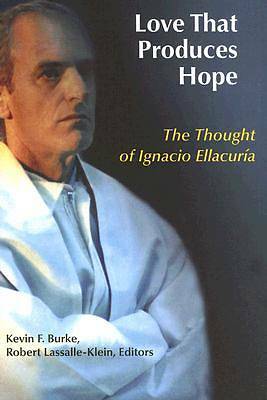 Love That Produces Hope evaluates the significance of Ellacura-a's work, particularly his impact on theology, philosophy, and education. Ellacura-a found hope in his faith that God's grace sustains the tenacious struggle of millions of men, women, and children to nurture those they love in the face of poverty and an uncertain future. Robert Lassalle-Klein, PhD, is associate professor of theology and philosophy at Holy Names University in Oakland, and the author of several books and articles. Kevin F. Burke, SJ, PhD, is associate professor of systematic theology and the director of the licentiate in sacred theology program at Weston Jesuit School of Theology. He has written several books and articles, including various works about Ignacio Ellacura-a.